In memory of some of the great years of hip hop past, I bring you I Remember That (hip hop edition). This is a mix that is sure to bring back memories of the hip hop from the early 90's to the early 2000's. 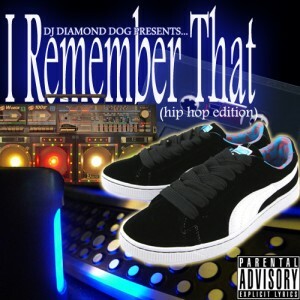 Featuring many great artists, such as Luniz, NWA, the DOC, Public Enemy & more, I Remember That (hip hop edition) is a simple, non stop mix of music designed to bring back memories!! The early 90's is referred to by many as the "golden age" of hip hop. It was a decade in which Dr. Dre, Snoop Dogg, & Warren G brought us the G-Funk sound from the west coast. It was also the decade that introduced us to one of hip hop's greatest acts... the Wu-Tang Clan... representing New York City. We also will remember other greats such as Gang Starr (RIP Guru), Poor Righteous Teachers, Redman, Goodie Mob, Cypress Hill & many more!! With the diversity of hip hop sounds during this era, it's easy to see why hip hop became such a popular & influential genre. For the first few years of the new millenium, that "golden age" sound carried over, before becoming watered down by the industry. DMX & Busta Rhymes were a few that kept the originality of hip hop alive over the millenium border. And although DMX has had many legal issues over the past several years, he is still very relevant to the genre. And Busta Rhymes continues to put out hits, even at 40 years old. So, as you can see, I Remember That (hip hop edition), is a great addition to any mixtape collection. So sit back, relax & enjoy the memories it brings!! Thanks for your support and be sure to visit djdiamonddog.com for more mixtapes, remixes, mashups, etc. A true classic track from a true classic group... C.R.E.A.M. from one of hip hop's powerhouse groups, the Wu-Tang Clan, is not only a classic, but a pioneering sound from the 90's. 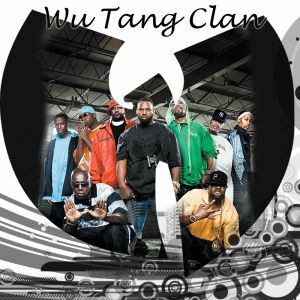 In the era of G-Funk & the west coast "gangsta" sound, the Staten Island based Wu-Tang Clan brought a hard edge east coast sound to the scene that is still alive today!! From their debut album Enter the Wu-Tang (the 36 Chambers), C.R.E.A.M. was possibly the biggest hit off that album. The Rabid Remix of this great song features hard edged verses from the late great Tupac Shakur & Yonkers own DMX. Along with Akon, this remix goes H.A.M. so be sure to check out the free download. Want more original sounding remixes & mashups?? Be sure to visit & "Like" djdiamonddog.com. Thanks for your support.